You may have been hearing a lot about DevOps recently and are wondering what it is and whether it’s something applicable to WebCenter or any other form of Content Management technology. 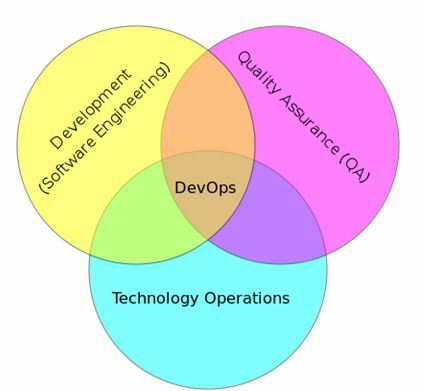 As figure 2 shows, the main idea is that a DevOps approach to software development and management is a direct analog to the agile project approach – in that technical staff can be much more responsive and can lower overall project risk when making rapid small changes rather than infrequent major changes. The key here is that agility and responsiveness (achieved through automation and aligning the different groups within IT) is a clear competitive advantage in the current dynamic and evolving business environment. This is why so many large software companies are now using or testing this approach. So far, so good – but how does this relate to Content Management and how is this different from what you have been doing for many years? To answer the former, the goal of a Content Management team working in a DevOps setting is to make frequent changes to meet customer demands. Obviously this must be done cautiously and professionally and within the bounds of the system. Modifying the metadata and security models within a document management system is not something to be done lightly; while changing user profiles, adding new dropdown choices, updating the UI are all perfect candidates for rapid release cycles in response to user feedback. A records management system (due to its strict audit controls and external compliance obligations) may gain less from a DevOps approach than a customer experience management system which needs to evolve rapidly to meet changing needs. So, like so many useful concepts in our evolving world, IT professionals must choose which systems are best suited to the new approach and which tools and aspects of DevOps are suitable to be adopted by their teams and their business. How is this different from what you’ve been doing? 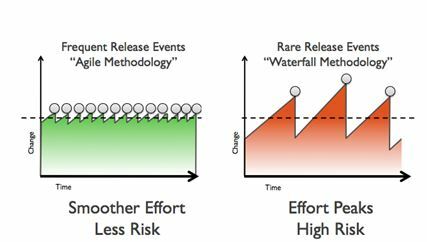 Looking at release and update cycles in a different way and on different time scales forces changes in standard operating procedures. And this is one of the great advances. Increased agility and increased pace of release has made the use of automated configuration and deployment tools much more prevalent. WebCenter has always been scriptable and able to be installed using scripts for many years. But there are now a number of extremely useful tools that allow DevOps teams to manage these processes much more repeatedly and rapidly (essential for consistency between environments and successful loads). There are links to the community versions of each application on the various company pages too. IBM has a helpful landing page on the topic; regrettably Oracle seems to be a little behind the curve relative to IBM, although there was an article in the Oracle Architect magazine earlier in the year and some internal blog posters are getting up to speed. Enterprise Manager / Grid Control, especially in 12c versions, does have some of the automation features discussed above, but is in no way a substitute for Puppet or Chef. My interest in this area was piqued through the excellent writing of the various Redmonk staff and I highly recommend their blog posts and conferences. The applicability of these technologies to Oracle and WebCenter in particular was clearly illustrated by the work of Oracle ACE Edwin Biemond here, here and here. He is clearly the expert in this field. Have more questions? Want to have a chat with someone from TEAM? Contact us here. This entry was posted on Wednesday, December 11th, 2013 at 11:51 am and is filed under Oracle, WebCenter Content. You can follow any responses to this entry through the RSS 2.0 feed. You can leave a response, or trackback from your own site.